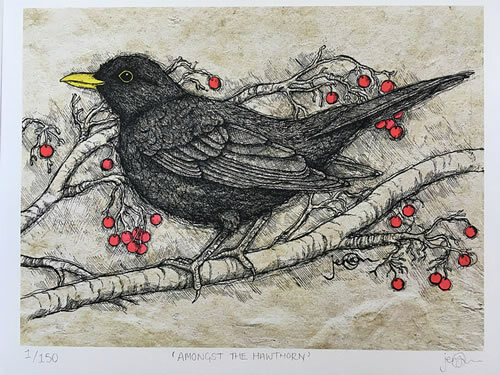 Limited edition print of Jennifer's illustration 'Amongst the Hawthorn', featuring a blackbird amongst the branches of a hawthorn tree. 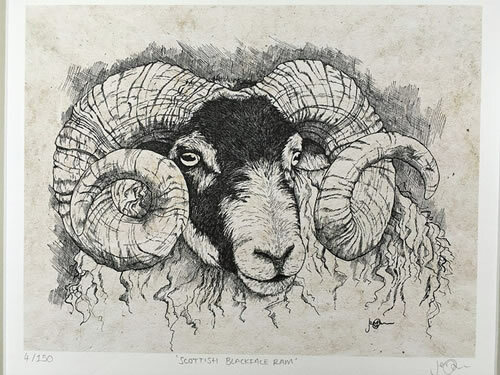 The print is taken from her original dip pen, ink and watercolour illustration, done on sustainable handmade paper with indian ink. Fully mounted, it measures 38cm x 33cm.